It isn't easy being a tree in the city. The average lifespan of an urban tree is just 20 percent what it would be in the wild. 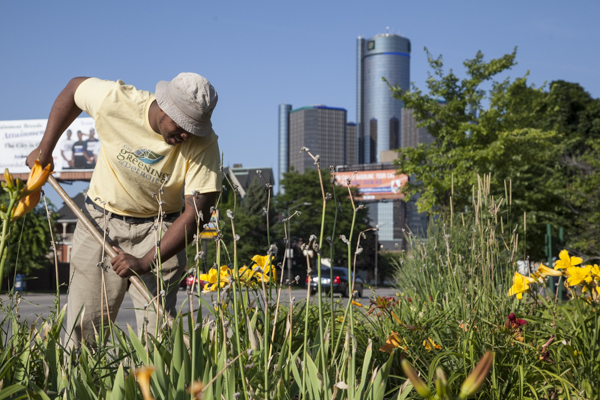 For every tree that's planted in Detroit, four are lost. A number of stressors contribute to this high mortality rate: compacted soil, nutrient deficiencies, and greater susceptibility to pests. Improper pruning doesn't help matters, and neither do the wounds inflicted by people and machines.